The Heavenly Gifts of Alcoholism? Ransacked souls all who drank like fish and wrote like fallen angels. I mentioned yesterday in a comment to a follower how alcoholism and addiction seem to be intertwined with extraordinary creative talent. It is as if heavenly creative vision can coincide with a slide into alcoholic hell. Here is a piece which touches on this theme. A theme I will write about again at a another time. 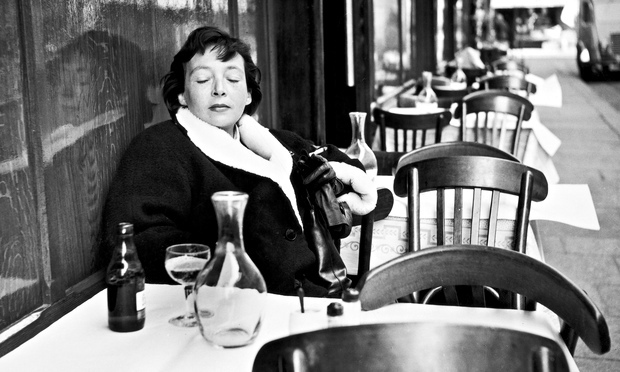 “There are a lot of writers with drinking problems. There are a lot of drinkers with writing problems. Alcoholism can practically be described as the American literary disease. 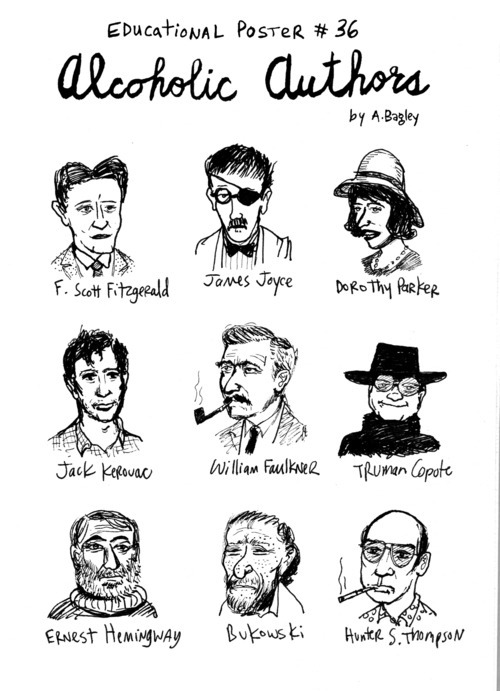 But why are there so many alcoholic writers? Why, in America especially, are the production of literature and the consumption of destructive quantities of alcohol so intimately intertwined? Which came first, the bottle or the typewriter? For much of the 20th century, literary distinction and alcoholism were strongly linked. An oft-cited fact is that five of the first six American Nobel Prize winners—Lewis, O’Neill, Faulkner, Hemingway, and Steinbeck—were alcoholics. Olivia Laing, author of The Trip to Echo Spring, battens on to six of these sad, brilliant cases, all men, in an attempt to solve, or at least shed light on, the paradox that their desolate and haunted lives yielded “some of the most beautiful writing this world has ever seen.” Tennessee Williams, John Cheever, Raymond Carver, Ernest Hemingway, F. Scott Fitzgerald, John Berryman—ransacked souls all who drank like fish and wrote like fallen angels. Laing’s method of investigation is to undertake what’s called in AA-speak a “geographical,” a meandering journey, mostly by train, to the significant loci in these writers’ lives, in a gamble that the spirits of place might offer deeper insights than the usual critical and biographical approaches. She begins with Fitzgerald and Hemingway; the former deluded himself that alcohol was essential to his literary inspiration, while the latter deluded himself that he had everything, his drinking and his depression and his multiple psychic and physical wounds, under stoic and manly control. Continuing with John Cheever, who’s Journals (published in 1991) offer a profoundly mixed reading experience —sordid instances of sexual abasement and alcoholic excess and poisonous animus directed at his wife and family, all rendered in the most exquisite prose imaginable. Cheever’s surface image as the winsome, WASPy squire of suburbia masked profound social and financial anxieties and resentments and a hidden hyperactive homosexual life conducted in the furtive shadows. The AA commonplace “You’re only as sick as your secrets” could be the motto on the Cheever family crest. Like so many alcoholics, Cheever had the perversely impressive ability to deny the unpleasant facts of his own behavior; Laing cites instances where Cheever waxes peevish about his wife’s conjugal coldness, failing to grasp that sleeping with her sodden husband could hold no appeal whatsoever. And yet, in 1973, after 28 days at the Smithers Center in New York City, “by some miracle” Cheever emerges from his slough of self-pity and morbid narcissism never to drink again—a resurrection symbolically repurposed in his one fully achieved novel, Falconer. Raymond Carver, Cheever’s close friend and boozing companion, managed to stop drinking in the final years of his life as well. As Carver confessed, “He and I did nothing but drink.” Carver’s life rivaled and perhaps even exceeded Cheever’s in alcoholic abjectness, if not in louche sexual content; his was the blue-collar version, replete with unpaid bills and demeaning employment and the near-total absence of glamour. When faced with a helplessness to control or even understand one’s dreams and desires, one can have recourse to two forms of surrender: a giving up, which Berryman and Hemingway chose in its most extreme form, suicide; or a giving over, Carver’s happy choice, to the cosmic gamble that is faith. And with that, Carver finally completed his climb out of the wreckage of a life of privation and physical and moral squalor. After dying of lung cancer, Carver was buried in Ocean View Cemetery. Next to the grave is a notebook where visitors leave messages, including many from people struggling with alcoholism for whom Carver is a saint of sobriety. It is no accident that the stories of Carver’s final years are stunning in their spiritual amplitude and their intimate association with mystery. Don’t Keep Taking The Medicine!